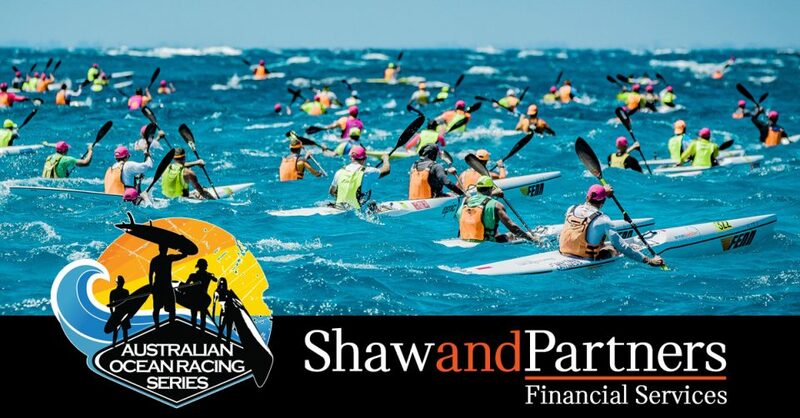 Oceanpaddler is thrilled to announce the signing of Shaw and Partners Financial Services as the naming sponsor of the 2018/2019 Australian Ocean Racing Series. 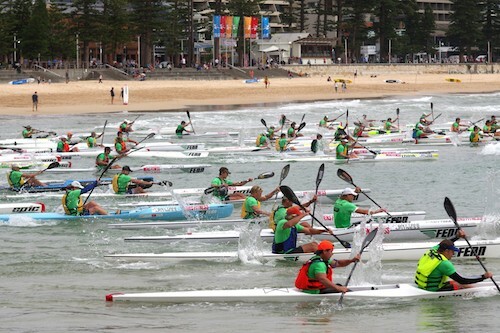 The Australian Ocean Racing Series (AORS) is a national ocean racing series attracting competitors across a number of ocean racing disciplines including Ocean skis, Surf skis, Stand Up Paddleboards, Prone Paddleboards and Outrigger Canoes. 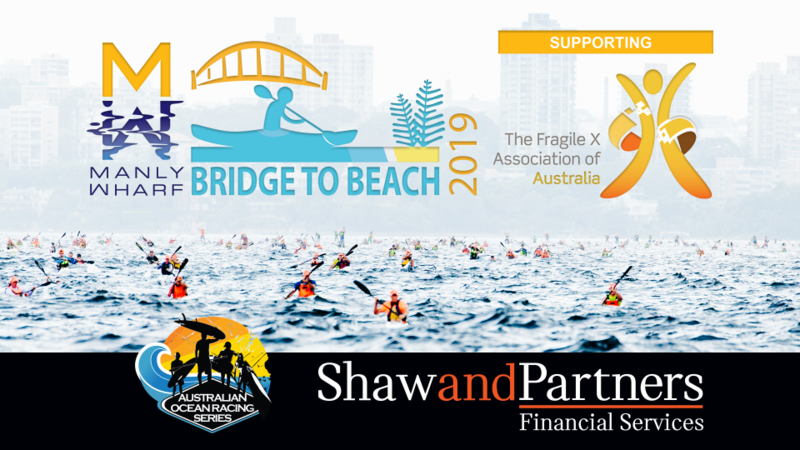 The 2018/2019 AORS is set to be the biggest year yet with the support of Shaw and Partners. This season we have made some changes to the AORS. We believe these changes will make it easier for competitors to travel to the events, to pick and choose events and also benefit event organisers. The AORS will be made up of a maximum of 15 events. Of these events, there will be four Major events plus one floating Major event. (The floating event is a different location each year.) The remainder of the events will be the National Series events. To obtain your maximum point score for the AORS you must compete in three (3) Majors and three (3) National Series events. You can compete in all the events if you like, however, we will take your highest scores from the three Majors and three National Series events. * Blue text indicates MAJOR events. The floating major event for 2018-2019 is the Fenn West Coast Downwinder. Click on the event name to be directed to the event website for more information and to enter each event. 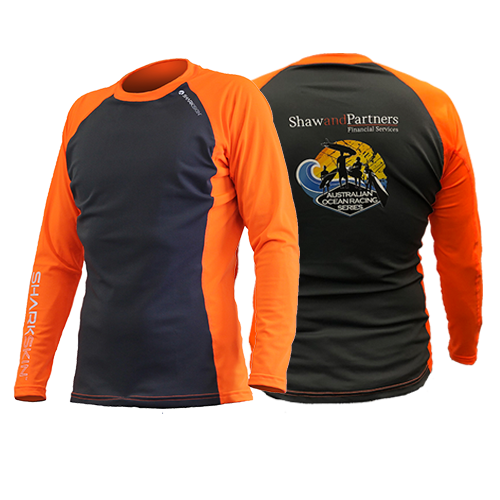 We are pleased to announce the release of the new SHARKSKIN RAPID DRY Official Merchandise garments for the 2018/19 Shaw & Partners Australia Ocean Racing Series. Three great colour options available in either long sleeve or short sleeve printed with S&P AORS logo on the back. For doubles to obtain maximum points the team need only compete in one (1) Major and two (2) National Series events. 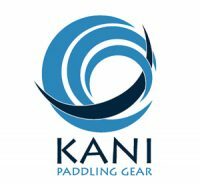 Once again doubles can do as many events as they wish and there will be double categories in all events.This will enable paddlers to compete in both doubles and singles throughout the series. Competitor’s age category is based on the age as at the first AORS event (25th August 2018). All competitors are automatically entered in the open category of their discipline. 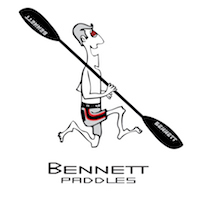 For example a 45-year-old Ski Paddler enters the Ski Over 40 category he will also be entered in the Ski Open category. Competitors can only enter one category. For example a 50 year old entered in the Spec Ski is not eligible for Over 50 points and prizes only Spec Ski and Ski Open.